Be the first to share your favorite memory, photo or story of Garret. This memorial page is dedicated for family, friends and future generations to celebrate the life of their loved one. February 9 with his beloved great niece, Stefanie Newcomb by his side. 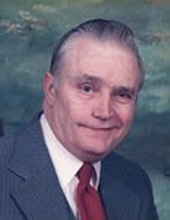 Garret was born in Pike County on November 6, 1931, the son of Willie and Elizabeth Hamilton Swiney who predeceased him. He was also preceded in death by brothers Walter, Elmer, Roy, Luther and Clifford and by sisters Irene, Helen, Mary Jane and Glennel. Garret was a 45-year employee of Great Lakes Steel in River Rouge, Michigan serving in various jobs and was a member of United Steelworkers. He retired to Pikeville in 1994. He was of the Old Regular Baptist Faith. Visitation will be Wednesday, February 13, from 6 to 8 pm with a religious service at 7 pm and funeral will be Thursday, February 14 at 1 pm, both in the J W Call Funeral Home Chapel with Old Regular Baptist Elders officiating. Burial will be in the Sword Family Cemetery on the Left Fork of Island Creek. Pall Bearers are Phillip West, Terry Fields, Larry Sword, Doug Schilling, Michael Fields, Roy Fields, and Randy Sword. Honorary Pall Bearers are Bruce Fields, David Fields and Paul Ray. The family extends heartfelt thanks to the many staff at the Pikeville Medical Center and the PMC Cancer Center for their attentive care to Garret during his extended illness with special gratitude to the chaplains who visited faithfully. To send flowers or a remembrance gift to the family of Garret Swiney, please visit our Tribute Store. "Email Address" would like to share the life celebration of Garret Swiney. Click on the "link" to go to share a favorite memory or leave a condolence message for the family.